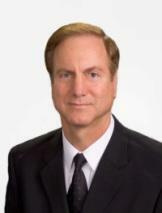 Dr. Levins is a member of the Florida Bar and Lee County Bar Association. He is a Certified Management Accountant (CMA) and is Certified in Financial Management (CFM). He has taught a variety of courses at Florida universities including Investments, International Finance, Managerial Accounting, Managerial Finance, Statistics, and Advanced Economics. Dr. Levins is licensed as a Professional Engineering (PE) in Ohio and Florida. The Official Publication of The Lee County Bar ASSOCIATION.